New York City is comprised of the five boroughs of Manhattan, Queens, the Bronx, Brooklyn, and Staten Island. NYC is growing rapidly with construction and development occurring at a hurried pace both in Manhattan known as New York County as well as Brooklyn, the Bronx, and other locales. With a rise in construction come the dangers to construction site laborers. Many of these dangers tend to be elevation or gravity related. Falls from a height are common injuries on construction sites. Examples include falls from ladders or scaffolds. Another common construction injury is an object which is being hoisted or secured as part of the work breaking off and falling striking a worker. There are many other types of construction accidents. The New York Labor Law protects construction site workers and laborers by placing the legal burden on the construction site owners and general contractors who must provide equipment including ladders and scaffolds that are safe and properly placed so that the workers can perform their job functions safely. Labor Law 240 and 241(6) as well as Industrial Codes found in Title 23 protect construction workers. 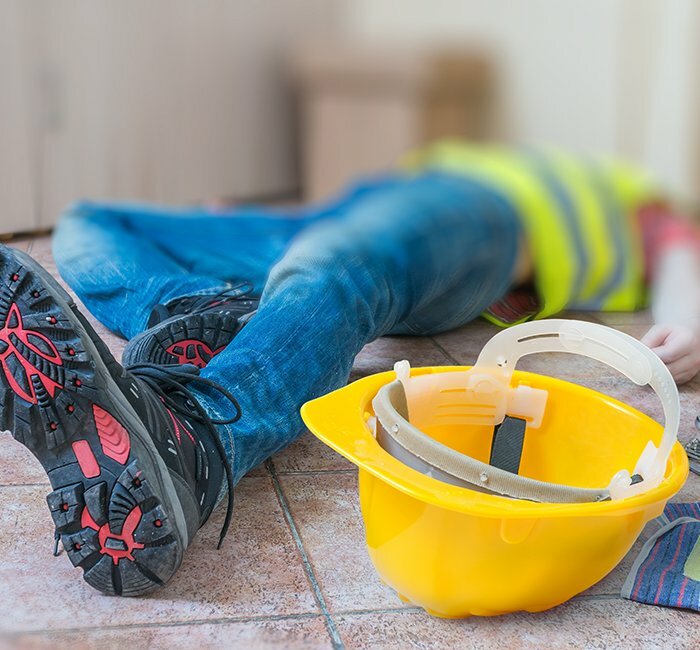 F&A Injury Law Firm is a team of experienced construction accident attorneys that specialize in all types of work accidents including those involving ladders, scaffolds, debris in passageways, falls from an elevation, cranes, hoists, pulleys, and other construction site mishaps. Contact us for a consultation to discuss your claim at (212) 222-1111. We work with top constructions safety engineering experts to prove liability against construction owners, developers, and contractors. We also work with top medical specialists to build the strongest damages case at trial allowing our clients to recover maximum compensation.